We first heard Bristol based Nicholson Heal last year while helping to judge the Glastonbury Emerging Talent competition. As soon as we heard his submitted track, Lacuna, with its twinkling guitar picking, fine melody and brass section we were hooked. This was deservedly long-listed by us and we’ve been eagerly awaiting his debut album ever since. Finally released this month we are not disappointed. Throughout it has the same keen focus on melody and that brass section still sounds great. Lacuna is here thankfully and is among a number of high points such as Homespun Shotgun, which is elevated by an epic, cinematic chorus. Think Ennio Morricone meets Radiohead. Lost at Sea is another strong track, displaying a radio friendly pop savvyness, while Diving Bell has some smart afro-beat guitar work. This will appeal to those who like London band Tigercats latest album in particular. Granted there’s a bunch of nonsense in the press release that did its best to put us off. It’s talk of “a subconscious reflection on the existential questions that pervade the album” almost sent us to sleep. But we do urge other music journalists who are sent this release to forget that tosh and just listen to the album instead. Nicholson Heal’s Big Jupe sounds great and is packed full of good songs. That’s our two key reviewing boxes ticked. 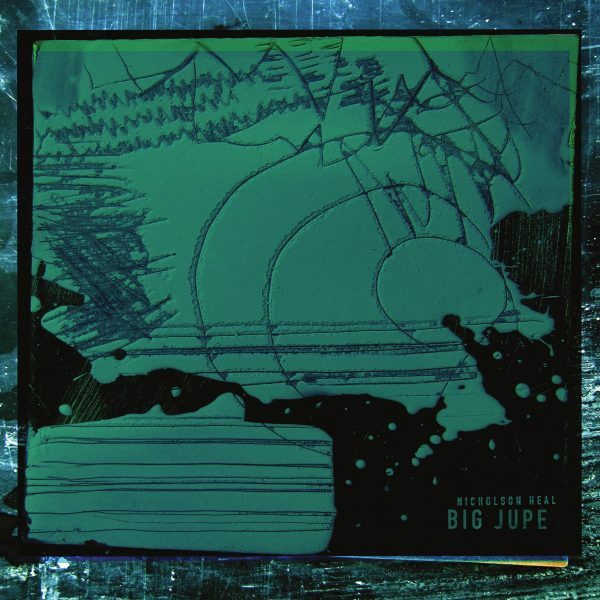 For more information about Nicholson Heal and to order a copy of Big Jupe visit here. Robert Rotifer has found something positive from his worst nightmare. How very stiff upper lip. How very English of him. The Austrian, who has been living in the UK for decades, is among the very many left shell-shocked by 2016’s Brexit vote. For him and his family in Kent it has extra resonance. Will he even be able to stay in the country? Still such important questions are up in the air. He’s been rallying against the decision ever since with incredulity, anger, despair and sometimes humour. The whole omni-shambles of Brexit does often seem more akin to political satire. Sometimes you just have to laugh at the absurdity of it all. Amidst this state of confusion, John Jervis of Wiaiwya Records stepped forward to give Rotifer a small lifeline and the chance to put all these swirling thoughts onto disc. His offer was to be one of seven artists, who are each recording a 77 minute track to raise money for Médecins Sans Frontières. Brexit was the obvious muse for Rotifer’s part to the project, which has also helped him fulfill a long held musical desire. I’ve always wanted to do one of those long-form psychedelic song suites with playful bits, recurring motifs, extended hypnotic bits and found sound segues. Coupled with this long standing desire he also decided to record mostly at the moment of writing, to give it a spontaneous feel. The format and this method perfectly suits his experience of Brexit and the dream like state the UK has been left in. The voices of those affected, Europeans dealing with racism and news announcements of the whole political mess, drop in and out among his finger picking and strumming on this largely acoustic guitar based psychedelic folk album. There’s a family trip to the beach from his home town, Canterbury, that’s full of warmth and fear for the future in equal measure. There’s an ode to Jervis too. Some songs within this 77-minute are more structured, such as the They Don’t Love You Back segment. Other times its like a frantic folk jam. It’s almost like Rotifer’s trying to get as many notes onto disc as he can before the Prime Minister Theresa May kicks him out. The end result is excellent – a swirling, whirly-gig of summery folk. Part rant at Brexit, part love letter to England – which, sadly, for 51.9% of voters at least, is not loving him back. For more about Wiaiwya’s 77 project click here. The project’s Just Giving page can be found here. Late, great Glastonbury music scene legend Dan Bradford had a great way of describing his music – “Bitsa – bits of this, bits of that”. It’s been three years since he died but his tradition lives on with another Glastonbury based artist, Billy Shinbone (aka Jesse Budd from psychedelic popsters Flipron and the Neville Staple Band). For this debut album Jesse has taken his love of 1960s psychedelia and merged it with bits of the old country and Cajun music he became engrossed in while touring the USA with Flipron. It’s a combination that proves effective as within his guise of Billy Shinbone, he creates, inhabits and owns his own world – of an Englishman with eclectic tastes, suited up, with banjo, guitar, accordion and more taking to the stage in the smokey dives and bars of Texas and Tennessee. From the reverbed guitar, whistling and accordion of opener Mostly Cloudy, Occassionally Sunny to the psychedelic, country finger-picking of Hoard of Hope and Plunder, there is plenty of opportunity to showcase his instrumental skills. If You think You’ll Get Away With It also has all the hallmarks of lead single. This foot stomping, banjo and harmonica driven track has the best chorus on the album. Temptation’s Got The Good Stuff, with some smart guitar dampening, runs this track a close second as our current favourite. There’s a bit of a hoedown going on later on the album with Another Bunch of Flowers before last orders are called for the mean and moody Thanks But No Thanks, Baby. Fans of Robyn Hitchcock are among those urged to catch Jesse when he tours his Billy Shinbone Show in the coming months in the UK. 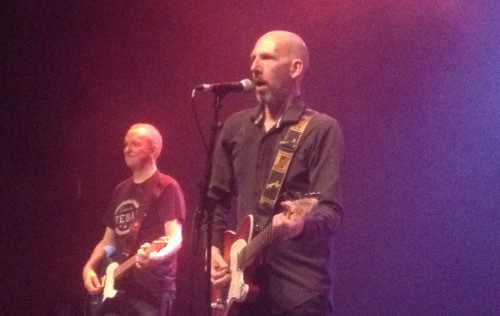 Hitchcock’s own “bitsa” mentality, of combining the music of his adopted home Nashville with whimsical English pop and psychedelia, is arguably a good point of reference. With a bit of this, a bit of that working so well here, Dan would have been proud. 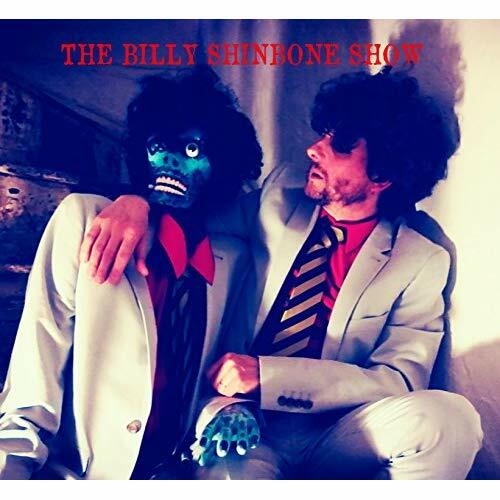 For more information about The Billy Shinbone Show visit his website here. This is going to be a short review. It is, to some degree, written out of necessity. 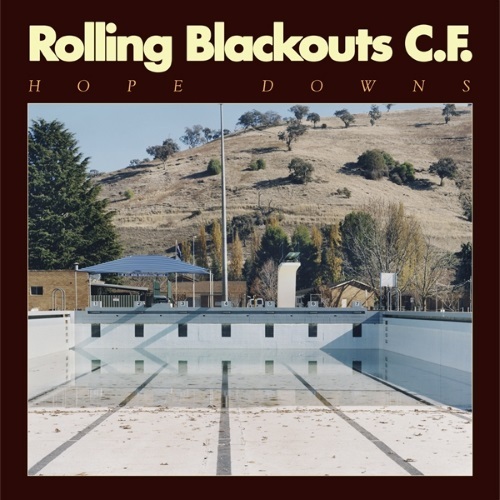 Rolling Blackouts Coastal Fever are a band that are completely new to me. I hadn’t heard anything from their debut album, Hope Downs, or either of their previous two EPs prior to this week. Within a couple of days I‘ve purchased tickets to see them play in October and they are currently my new favourite band. They are everything I love about guitar music. Great melodies, interesting lyrics, vocal harmonies and the perfect blend of professionalism and sounding like they are just on the edge of losing it. 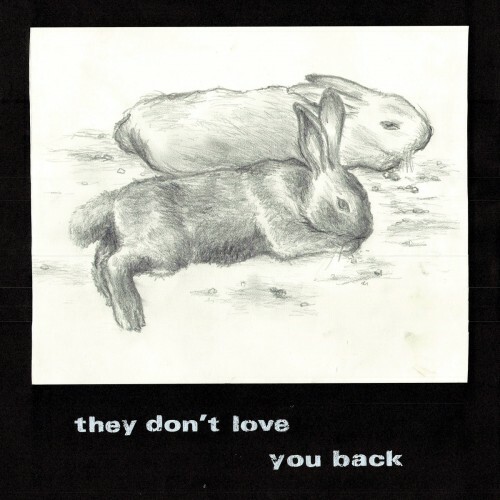 They remind me of Eyelids if they’d come from Melbourne rather than Portland, or Parquet Courts if they’d grown up listening to The Go-Betweens rather than Sonic Youth. Lazy comparisons aside they are just a great band, three guitarists all singing and song writing backed by a solid rhythm section. Ten excellent songs coming in at an economical 35 minutes. It is a great album from start to finish but smartly hits you with a knock-out three-punch of ‘An Air Conditioned Man’, ‘Talking Straight’ and ‘Mainland’ (surely the feel-bad hit of the Summer?) at the start of the record. It’s only July but we have a serious contender for album of the year on our hands.